Global Go for iOS has been updated today to bring more personalization within the app, with the debut of My Global. 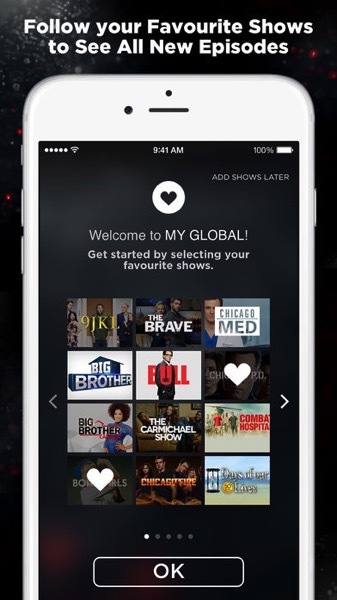 According to Corus, My Global allows users to select favourite shows and get new episodes for these shows “all in one place”. The update also brings push notifications when new episodes are available for favourited shows, with the option to turn on alerts on individual show pages. Meanwhile, authenticated users signed into Global Go via their cable provider credentials will now see fewer ads served. Global Go offers users the ability to watch full-length episodes, plus watch a live stream of their closest Global TV station. Click here to download Global Go for iOS in the App Store.